mark the 14th Annual AZUSA Conference. 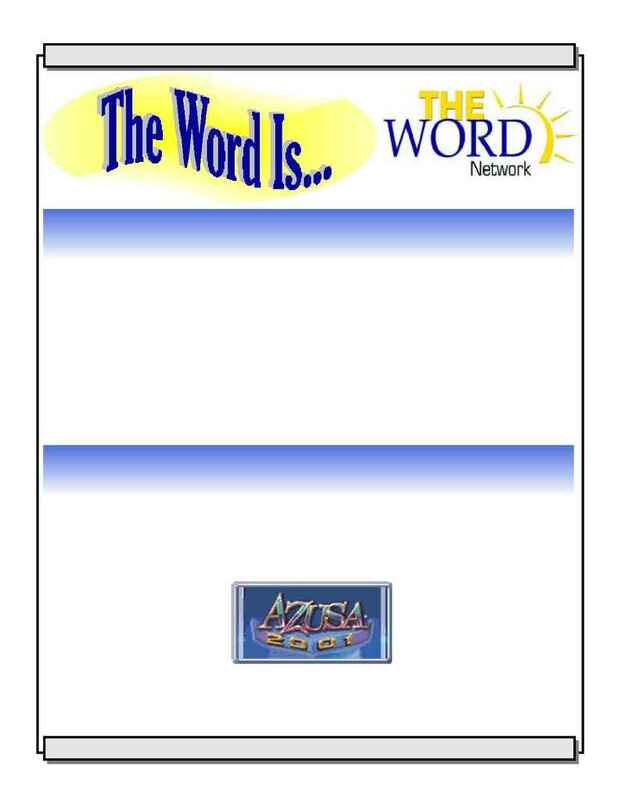 encourage you to participate in The Word Network. come in and there is more of a divergent opinion on this topic. We will post the results the following week on the site. Network gift. We are always interested in your ideas and suggestions. So talk to us, we are listening!